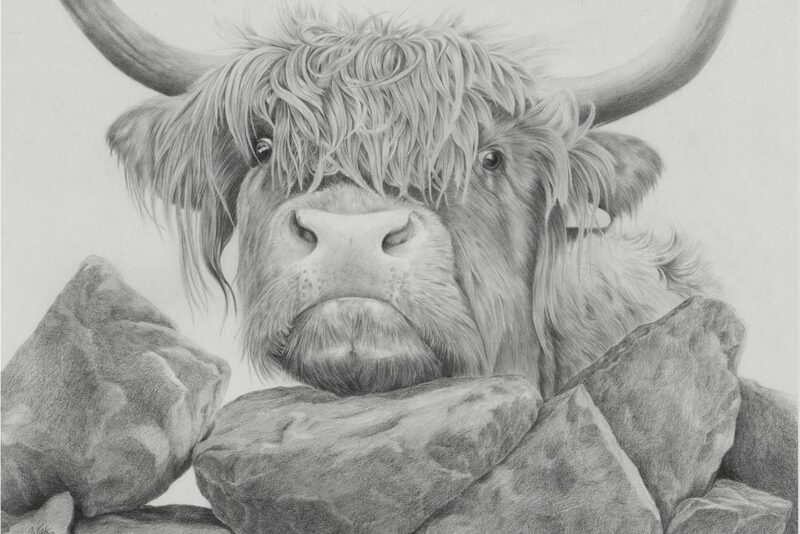 Carlisle-based artist, Carl Fitton, is taking inspiration from his Cumbrian surroundings and will be exhibiting his artwork at the Derwent Pencil Museum from the 4th February until the 28th April. Ahead of his exhibition, we interviewed Carl on a selection of topics from his inspiration to his favourite pencils. There’s no real focus to my artwork, I know a lot of artists will carve themselves a niche but I just love drawing. People can expect to see tight artwork that is really detailed – although I’m moving towards a different style now! Visitors to the museum can definitely expect to see a nice mix of my old artwork and new artwork too! People always say that I give great character to my artwork via my subject’s eyes. I find that eyes add depth and can change the feel of a piece. Animals are definitely my strong suit but I’m going to try to do a lot for figurative work and landscapes in 2019! I’m always looking to try new materials and I work in a variety of different mediums, both dry pencils and a selection of watersoluble materials. Although watersoluble tools have never suited my style of work, I love the Derwent Inktense range. The vivid colours and the versatility of the collection are brilliant. The range I use most is Derwent Coloursoft – I’ve even started to use it in my classes as a starting point for beginners. Much like the Inktense range, it’s rich in colour – especially on black paper – but really easy to pick up and use! Art has moved away from the traditional and I’m moving with it. With my artwork now, I map it all out on an iPad before I begin to pick up my pencils. This helps me with composition, shape and helps me clear my mind with ideas. 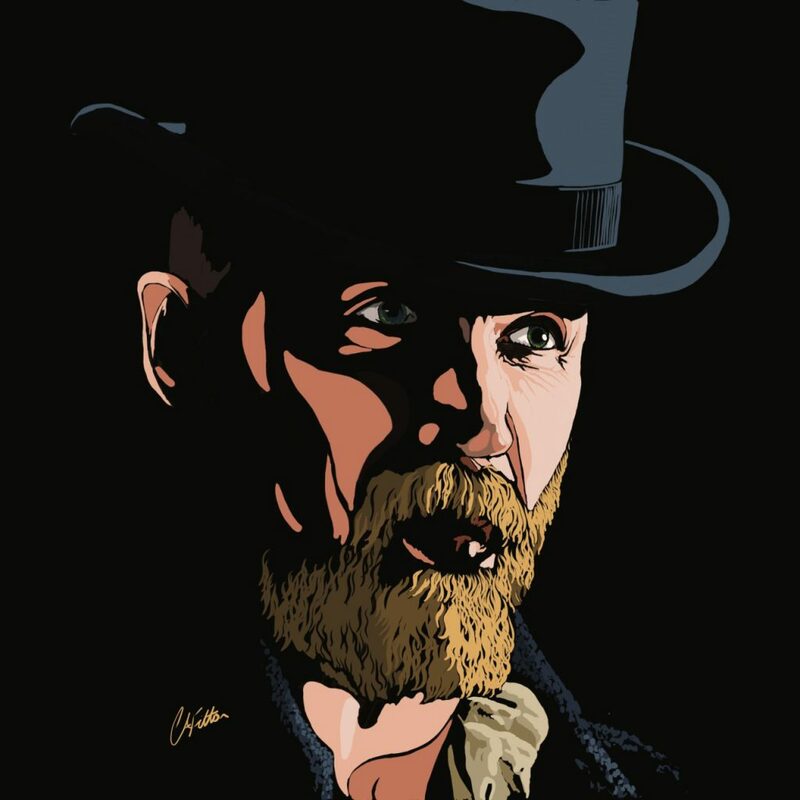 I’m even creating bespoke pieces that are directly on my iPad – mainly characters from the Peaky Blinders series. They’re done in a 1920’s art-deco style, so large blocks of colour and geometric shapes! Carl on his plans for 2019…. When I started drawing and creating art, I never expected it would get this big. It’s always been an interest but work ran my life. But after a professional career as an estate agent, I wanted to follow my passion. I’m now looking to setting up a big studio, away from my personal studio at the bottom of my garden. I’ll keep getting inspired by Cumbria though, it’s a perfect county to draw inspiration from! Carl on giving tips to artists…. Just pick up a pencil. It’s that simple. I think people get really fearful in old age of picking up some materials and just doodling. It doesn’t have to be Van Gogh. Children draw and enjoy it, that’s all art has to be about – enjoyment! The more you draw, the more techniques you pick up. It really is like riding a bike – the more you do it, the easier it becomes and the more confident you get! I’ve been to the Museum loads of times. It’s fascinating and fantastically quirky – a uniquely British place. The team there are great too and there’s some great deals in the shop that I always make the most of! Find out more about Carl or get in touch via his Facebook page here.